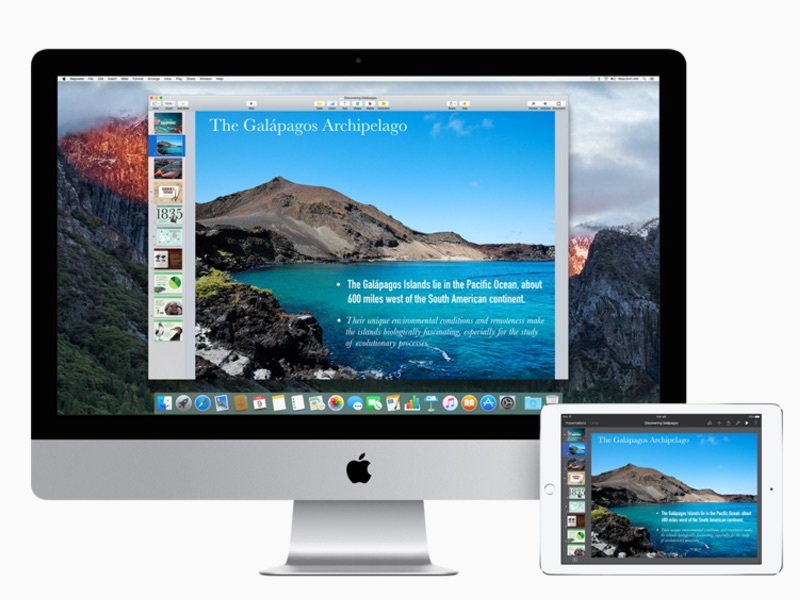 Apple has updated the iWork productivity suite on OS X and iOS to take advantage of several new features and capabilities it introduced with OS X El Capitan and iOS 9. The company is adding support for Force Touch, 3D Touch and adding a range of multitasking features to iWork apps. iWork – the productivity suite that consists of Pages, Numbers, and Keynote applications – in addition to the new support for 3D Touch, a capability that allows users to get contextual options when hard pressing an app, also gets a range of Force Touch gestures in each of the aforementioned apps. You can now Force click on an image and quickly begin editing it. The Force gesture also comes with built-in haptic feedback. You will, of course, need the new Force Touch Magic Trackpad, or the Retina MacBook Pro or the new MacBook to take advantage of this addition. Coming to the mobile side, you can now open some older documents in the apps. Keynote and Pagescan now open presentations and documents from the 2006 and 2008 versions of the software.Numbers, similarly, will allow you to open spreadsheets created with the 2008 version of the software. Moving on, you will now be able to preview shared Pages, Keynote, and Numbers documents on iOS, as well as Android devices. As mentioned above, iWork apps for iOS now support multitasking features (Split View, Slide Over, Picture in Picture) as well as 3D Touch on the new iPhone models – the iPhone 6s and 6s Plus. The three apps have also gained new multi-touch gestures for selecting text, and a new Shortcut Bar which offers quick access to formatting tools. The apps also support new keyboard shortcuts when connected to a wireless keyboard. In addition, all the apps come with a range of improvements. Check out the complete changelog.